I’ve always loved good food. My mom made sure I tasted something delicious every day, no matter how humble the meal. But I first started cooking “on purpose” when I began watching the Food Network. Along with Sara Moulton’s Cooking Live (a fellow University of Michigan alum), I loved watching the Too Hot Tamales. Maybe it was because Susan Feniger and Mary Sue Milliken were cooking food I was familiar with and their recipes were delicious? Maybe it was because they were cooking in Los Angeles (my home town)? Though I can’t be sure, I think I came across this cookbook at The Dawn Treader Bookstore in Ann Arbor, Michigan. I used to work there part-time and had a chance to look through the books before they went out on the floor. One of the perks of the job! Cilantro (chopped), avocado (diced) and/or lime wedges for garnish to taste. Put the rice, along with boiling water in a heatproof bowl. Let the rice soak for 40 minutes. After 40 minutes, drain the rice and set aside. Heat a sauté pan to medium heat and add 2 tablespoons of the vegetable oil. 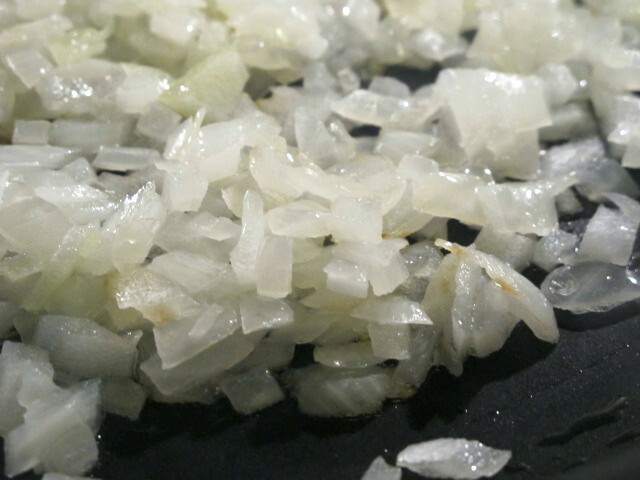 Sauté one of the diced onions until translucent. Remove from the heat and cool. In a bowl, combine the ground beef, cooled onion, drained rice, egg, cumin, oregano, crushed red pepper and 3/4 teaspoon of salt and 1/2 teaspoon of the pepper. With your hands, mix well and form into 1-inch balls. Set aside on a plate. Heat a large soup pot over medium heat and add the remaining 2 tablespoons of vegetable oil. Add the rest of the onion and sauté until soft and translucent. 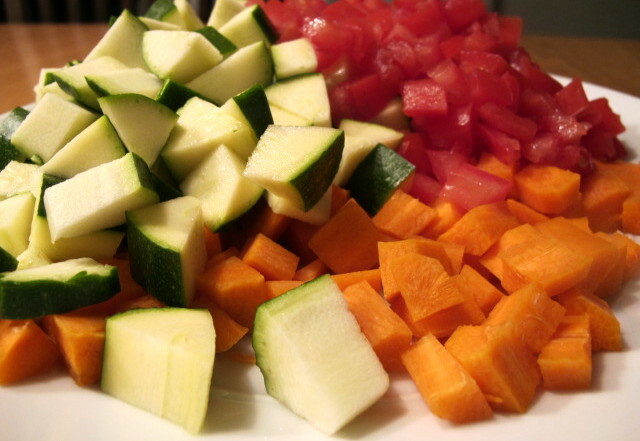 Add the garlic, zucchini, carrots and tomatoes and cook for 5 minutes. Add the chicken stock and 1 cup of water and stir well. Bring to a boil. 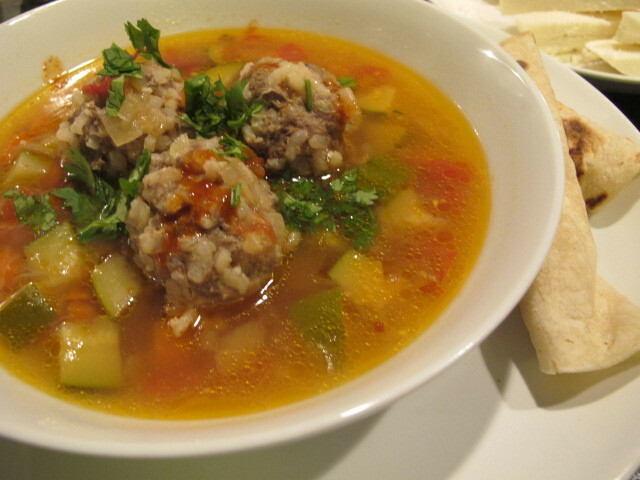 Once the soup is boiling, carefully slip each meatball into the soup. 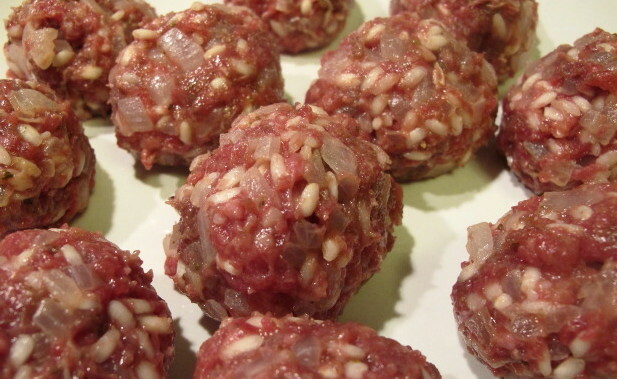 Reduce to a simmer and cook uncovered until the meatballs are fully cooked (about 40 -45 minutes). Add more salt and pepper to taste. Add more water or broth as desired but make sure to taste and season to your taste. Ladle the soup into a bowl, adding a few meatballs to each bowl. Add chopped cilantro, diced avocado and/or lime juice to taste. I add a couple splashes of hot sauce at the end too.